Hi Linda!! Love your wool work! 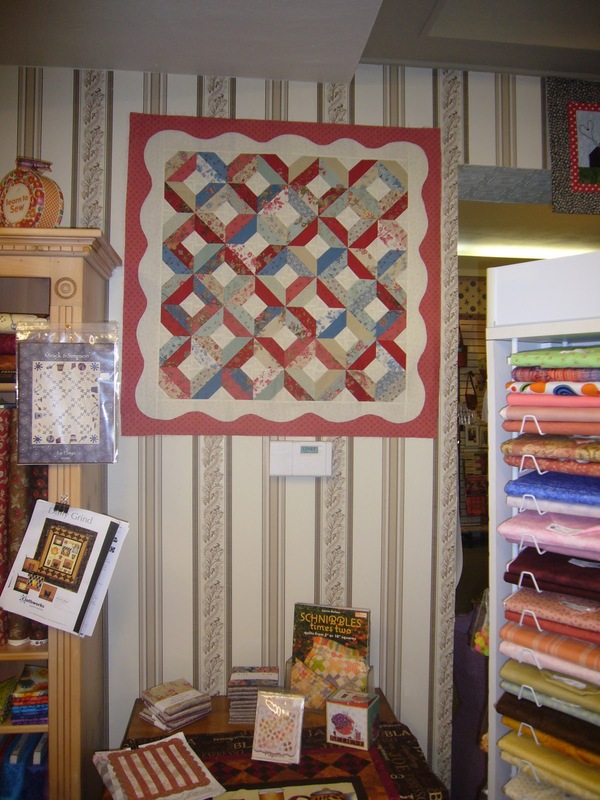 Your work is gorgeous as are the quilts in the shop! Get use to it...quilters will want to know lots more about how you did it and with what!! How lucky are you to get to play while you work!! OMGosh! How exciting! What a fun day. I love the wool blocks. I have that book but never thought to do the blocks in wool!! Nice work!! Hi Linda, I too, work in a quilt shop one day a week. It is a dream job! The only issue is having so much fabric following me home. Yes, Wild Rose is fabulous. (A fat-quarter tower is sitting in my sewing room as we speak.) With your talent, you will be an asset to the shop. 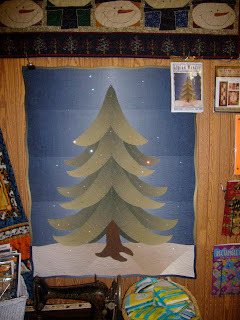 Love your quilts and your blog. A delightfully fun day. Woohoo!!! I LOVE your wool project, as well. Stitching at the library while your daughters are at dance class is a wonderful idea. What a wonderful day and compliments galore can make for even a better day!!! Your wool is wonderful!!!! Great wool project, Linda! I'm working on something very similar, too! I'm so glad you had a fun first day at the LQS! Your Alpine Wonder is gorgeous and certainly deserves its place of honor! I'm so glad you had such a delightful day! What a great job! Love your wool blocks!